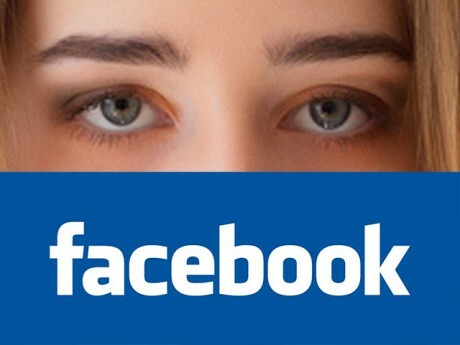 These photos will only appear if the brand has been liked by a user, or any of the user’s friends. The images pop up on the newsfeed. And from there, users can comment, like and share products and collections. 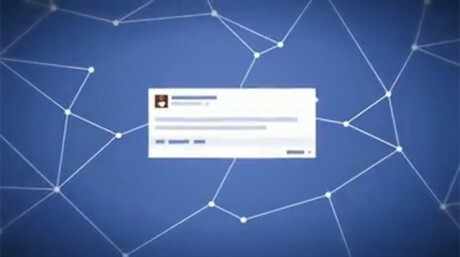 They can also click through and buy items directly from Facebook. The main feature that will differentiate Facebook’s new initiative from Pinterest is the “Buy” component. Search is a big deal! In fact, there are 18.2 billion searches daily. 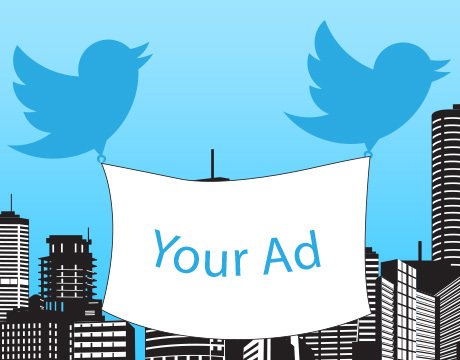 Following are some important facts and research about search and search advertising. Search is one of the most popular online activities. There are more than a billion searches a day worldwide – more than half come from outside the US. People are constantly looking for new information online. There are billions of searches each day on Google. 16% of the searches we see are new. In 2012, there was $11 billion incremental US advertising dollars of which $8 billion is incremental digital dollars, of which $4 billion is search. 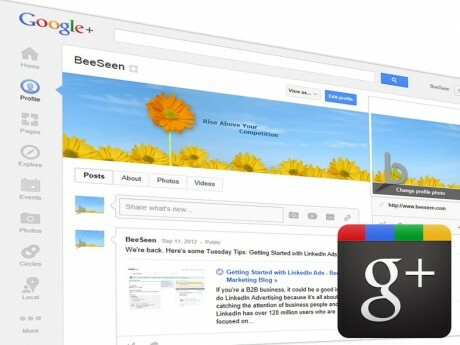 Is Your Business on Google+? Should It Be? With today’s emerging technology, smart businesses should consider kick starting their business on Google+. Google+ is Google’s main social platform, and it integrates seamlessly with other Google properties, such as Google Search, Gmail, YouTube, etc. The collaborative search results make it possible to actively search for the types of people interested in your products/services by using the same Google search terms. Google+ also provides real time social engagement and interactions to support its social efforts. Google+’s Hangouts on Air use audio and video to show live streams as a form of communication via social media. Hangouts can be streamed publicly to your Google+ profile, YouTube channel and website. With Google Hangouts, businesses have a unique and engaging way to communicate with their customers. Hangouts are also a cool way to deliver and share information. Businesses can include different communities and bring community into content creation itself. The way that users communicate, behave and participate with others is unique to Google+ and great for businesses. With Hangouts, businesses can both communicate AND listen to their customers. 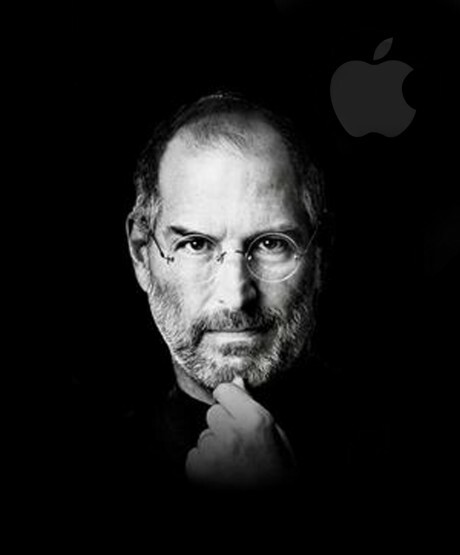 It’s hard to believe but it’s been a year since Steve Jobs passed away. Eweek came up with a list, Steve Jobs Left a Lasting Void in The IT Industry: 10 Reason Why. We can’t help but agree. 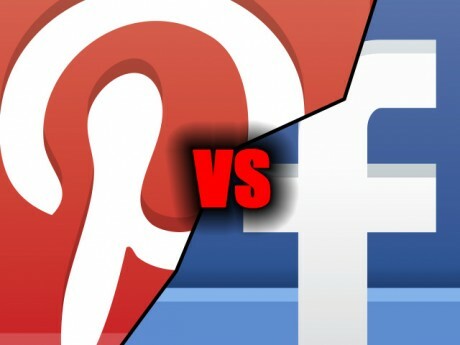 A study from Shareaholic that Pinterest is now the 4th largest traffic source in the world. Since May, Pinterest traffic has more than doubled in size. 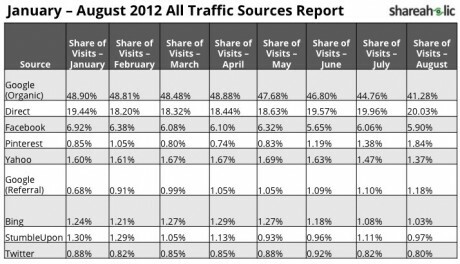 Since January, Google, Yahoo and Bing organic traffic has decreased by 15.63% on average. These are some interesting trends. While organic search engine traffic is still very important, social media has definitely risen and requires attention in any marketing efforts. 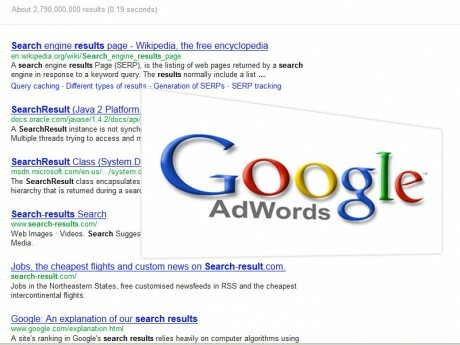 Search Engine lands has brought up an interesting bit on AdWords Remarketing Lists for Search Ads (or RFSA) in their article, Enter The Cookie: How RFSA Will Affect SEM. These are just some examples, but there are a lot more you can do based off cookie information. If this model takes off, as an advertiser, it’s time to get to acquaint yourself with cookies as things in AdWords just go a lot more complicated.